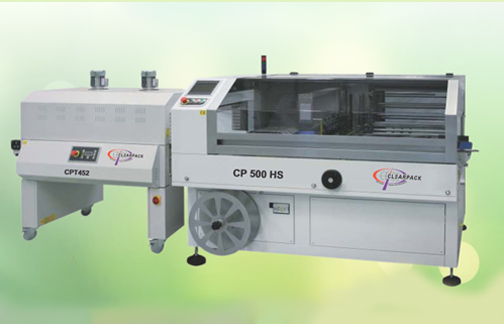 Modularity and excellent price/quality ratios are the main features characterizing the Automatic Intermitent Side Sealers of the CP series. Compared to the traditional L-sealing hood packers, the CP series provides higher outputs as well as the possibility of using Polyethylene film, besides the traditional shrink films. The CPseries of modular sealers with shrink tunnel includes different models for various ranges of output depending upon product dimensions.